Did you miss the FREE cab ride promotion that was on yesterday? Some of my friends complained that they did not know how to use the mobile app and missed this awesome deal! Among all the ridesharing applications out there, I must say Uber is one of the most efficient and user-friendly! The 2 free taxi ride promotion (up to S$35.00 ea) was definitely a huge success as each cabby told me he received a constant stream of bookings throughout the day. Although this promo is over, readers who sign up with the promo code 'shermaineL' get S$10.00 OFF their first ride! Read on for more details! How quickly you get a cab really depends on your luck. On a usual day (like today), it's pretty easy to get an UberTaxi as several taxi companies encourage their drivers to use the mobile app. Uber also lends smartphones (with GPS and 3G enabled) to cab drivers for free! The following steps are for those who have already registered with Uber. The process is really quite intuitive and user-friendly! 1. Type in your pickup location. First, you will see a map with several taxis near your location. 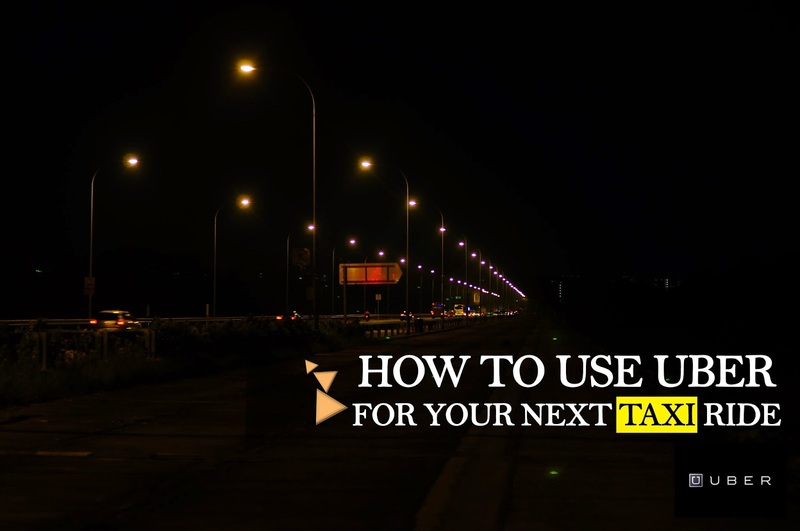 Uber offers three types of services — do ensure you swipe the radio button at the bottom of your screen to the 'taxi' option. Type in your pickup location, and click on the black pop-up. It sometimes reads 'No Taxis available', but you have to click 'confirm booking' in order to send requests to all cab drivers in the vicinity. To deter pranksters, there is a penalty charge of S$2.00 for each booking cancellation. Setting your destination is optional. However, I believe there is a higher chance of successfully booking a cab if you do because the driver would know in advance where you are headed. Some drivers told me they prefer short trips as they get a bonus of S$5.00 per trip! Upon each successful booking, you will see a picture of the driver, his name, the taxi model and the taxi plate number. You can also get yourself ready for the cab's arrival as the GPS is quite accurate in locating where it is in real time! 3. Contact the driver? Split the fare? Don't we all love help in accurately splitting the fare? Uber provides this tool with no hassle involved. In addition, it may at times be difficult to explain your exact position (e.g. near a shopping mall with multiple exits) and you may thus wish to contact the driver through calls or text messages. 4. How to pay the driver? Payment can only be made through the Uber app, and Uber requires debit or credit card details from you upon signing up. If you notice any discrepancies in your transactions, it's easy to rectify them by dropping Uber an e-mail. My entire family uses Uber as it's smooth and efficient! You can trust that drivers are not dodgy as they are screened before being verified as Uber drivers. At the end of the trip, the driver keys in the fare on Uber and you will receive a receipt in your e-mail. Sign up with Uber using the promo code 'ShermaineL' and receive S$10.00 off your first Uber ride. What's even more attractive is that there is a 25% discount for ALL uberTaxi rides in October!